Generic medicines and generic brand change. 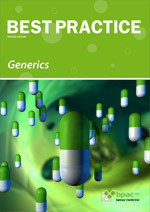 We interviewed experts, regulators and clinicians about generic medicines and medication brand change. You can view extracts from these interviews here. On the left are links to these interviews, click on the question in the list or alternatively, to begin or continue sequential viewing click the next button.